Or can you? The results were more than a little surprising. I'd love to have an excuse at the ready for the fact that the first meal I ate upon arriving in Berkeley—that's right, Berkeley, California, the fabled culinary mecca that's only responsible for helping to change the way we eat in this country—was a Quarter Pounder with Cheese at the McDonald's on San Pablo Avenue, but I have none. It was late (okay, it wasn't that late), I was tired (no excuse, I could have ordered in), I didn't want dinner to turn into a whole thing (again, could have ordered). So I went through the drive-through, in order to hide my shame, and I did what I'd like to think all road warriors eventually do when they think that nobody's looking. 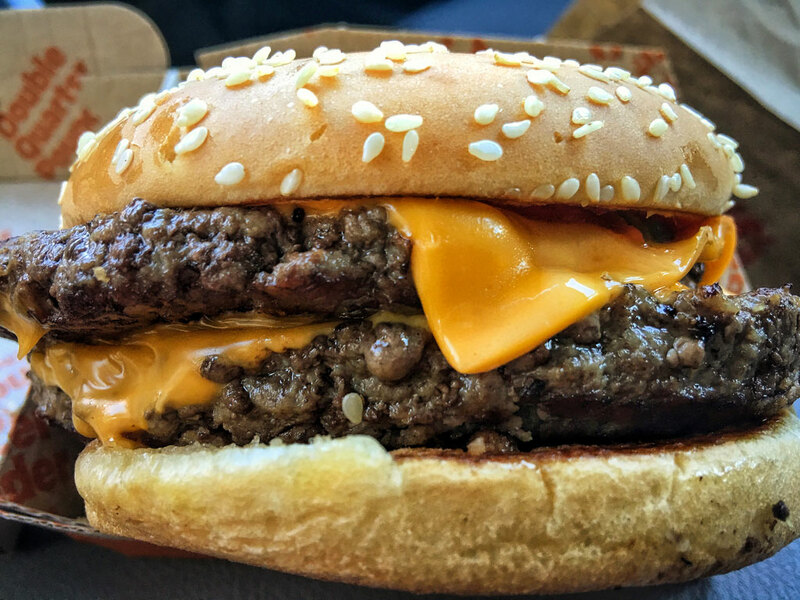 The Quarter Pounder, if you're asking, was pretty good, in the muted way that Quarter Pounders generally are—a classic, simple thing, with enough heft to make you feel like you’ve had a meal, without having to order fries or guzzle sodas. Sometimes, simple is good. Nobody would have been the wiser, except that then, barely a day later, the latest news from McDonald's went national—fresh beef in their Quarter Pounders, now being rolled out across the country. The San Francisco Bay Area, apparently, is one of their earlier target markets, with some stores ready to flip the switch to fresh. I'd just had the old-style, frozen Quarter Pounder, I remembered exactly how it tasted—this may not have been the assignment I was born for, but it was definitely an assignment I had no choice but to accept. So, I called that same McDonald's, where someone eventually picked up. Do you have the fresh beef, I asked. Come again? they said. After a bit of back and forth, I think I was understood—minutes later, I was down on San Pablo Avenue, standing in a long, lunchtime line at the register, fingers crossed. I needn't have wondered if this was going to work out—the first thing I noticed, opening the cardboard box the Quarter Pounder now comes in, is how different it looks. The patties (I ordered a double, to see as much of this much-heralded meat as possible) were clearly fresh, irregularly edged, slightly smaller around, it seemed like, but also quite thick—everything about it looked, well, real. The old double approached substantial—this one was almost formidable. Biting in, the juices began to pour out; the meat was tender, it tasted fresh and delicious, with that classic whiff of black pepper McDonald's uses. To boot, there was a nice bit of char around the edges. Simply put, there was no disguising the fact that this meat is a fairly significant upgrade from McDonald's as usual. What kind of advantage this gives McDonald's, in the end, is anyone's guess, but I could see them gaining new followers with this significant shift towards tastier, better-seasoned meat—the real struggle will be getting people to put down the Quarter Pounder and go back to the burgers-as-usual. There really is no comparison.